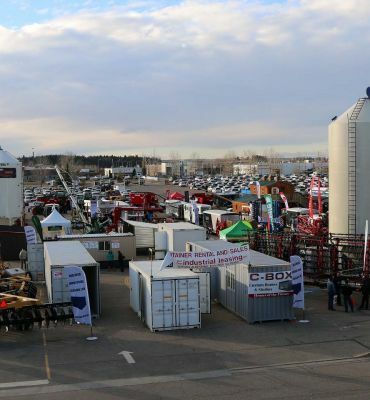 For show updates, follow us on Twitter @agritradetoday and use the hashtag #agritrade19! then left on 49th Avenue. The Westerner will come up on your right. proceed east, past Gaetz Avenue (50th Ave). The Westerner will come up on the right. All exhibitor badges will be generic with the title “EXHIBITOR” and will provide free parking on site. You will not be required to sign up and register your staff names. Allocations for the number of Exhibitor badges you receive will be on your company profile and is based on the quantity of floor space you have registered for. Your exhibitor badge is you’re parking pass, entry into the show/all events, and must be worn at all times. This provides entry into the show each day and those exhibitors not wearing a badge will be charged the regular gate admission on Wednesday, Thursday and Friday with no exceptions and no refunds. Exhibitor badges can be picked up with your exhibitor packages upon move in at the Show Office (located on the East side of the Stockmens Pavilion) Extra exhibitor badges are available at a cost of $15.00/badge. Paladin Security Group will be in attendance as the shows official security service. They will be visible throughout the show as well as patrolling all buildings and outside displays during set-up and tear-down. They will be onsite as of Monday, November 5th and patrol all buildings 24 hours until midnight on Friday, November 9th. All advertising for the show promotion distributed through Western Producer is done by the advertising staff at Western Producer, they can be reached directly at 1-800-667-7770. If you are looking for a customized advertising package at the show, contact Dave Fiddler at 403-755-7124 or via email at dfiddler@agri-trade.com. During set up on Monday November 5th and Tuesday November 6th all gates to Westerner Park are open. Please do not park in any designated fire lanes or you will be ticketed and towed. Pay attention to signs as we want your stay with us, to be free of problems. Designated parking areas have been set up to get you parked as close to your pavilion area as possible during the show. Your best entry gate is the “Exhibitors Only Gate” which is the Southeast gate of Westerner Park. Please use this gate to gain quick access to the Exhibitor parking and avoid lineups. This entry is located behind Westerner Park off 17th Street. Parkland / Prairie / Stockmen’s / Salon Exhibitors – Please park at the rear of the Prairie Pavilion, including the Sand Ring. We will be performing an assigned move in of all buildings in order to assist proper placement of large equipment and facilitate a smooth move in for all exhibitors. Please ensure your exhibitor profile is accurate, as exhibitor move in times and dates will be communicated via email in October to the email we have on file. If you miss your designated move-in time you run the risk of not getting your equipment placed, as access to the large entry doors is very limited. Exhibitors with carry in items only, can feel free to move in any time on Monday or Tuesday. *** We will have floor managers assisting the move-in. Outside exhibitors are asked to set up anytime Monday, November 5th & Tuesday, November 6th. Shipments will be received between October 29th and November 6th offsite, and do require prior permission from Show Management. Forklift service will not be available to outside exhibitors prior to the above dates, unless special arrangements are requested and approved. Agri-Trade Management works closely with Red Deer EMS personnel to receive floor plan exhibitor placement approval. That means that your space outline or allocation must be adhered to without deviation. Each year we are physically inspected by Red Deer EMS personnel to determine that there are no infractions such as exit blockage. Your cooperation in this matter is appreciated. Fire regulations prohibit the use of any kind of bales or other potential fire hazards within the buildings. Roofed buildings are also prohibited inside the pavilions as they block the sprinkler system from operating efficiently should an emergency occur. If you are concerned about anything you are planning to display, please contact show management. If you require large door access and miss your move-in time you will be scheduled into the rotation with no guarantee of timing. Upon arrival to the building at your scheduled move in time, please check in with the Floor Manager for that pavilion and he will ensure you get your equipment in as soon as possible. All equipment must be cleared of snow before entering the building including boxes and accessories. Exhibitors shall not operate draws or lotteries without expressed written permission of Show Management. Show Management reserves the right to ban objectionable premiums and novelties and to prevent the sale or distribution of any articles or products which it believes might endanger the health and safety of those attending the show. Aisles must not be obstructed at any time. Demonstrations must be conducted within the aisle line of the exhibit space. If several spectators are expected to congregate at one time, space must be left within each exhibit area in which an audience may gather. Should spectators interfere with normal traffic flow in the aisle or overflow into the aisle, show management reserves the right to request that such presentations be limited or discontinued. This will be strictly enforced, no exceptions. The noise level of any demonstrations or sound systems or equipment must be kept to a minimum in order not to interfere with others. Show management reserves the right to determine the sound level at which the noise interferes with others and may require the exhibitor to discontinue. Exhibitors are not permitted to serve any food or beverages in their exhibit area unless expressly permitted in writing by the host venue, Westerner Park. We encourage all exhibitors to sell directly in their booth space. Promotions outside of your allocated exhibit space that are NOT authorized by Event Management will be immediately shut down in order to avoid NON-exhibitors from selling/promoting at the show. This is to protect the investment you have made in this show and we value your business. If you see anyone promoting outside of their booth space, please let Event Management know immediately. Sharing of exhibit spaces is strictly prohibited. One company – one booth. Companies may have dealers assist with staffing their exhibits. Any infraction of this rule will result in expulsion from the event, and your company will be moved to the bottom of the waiting list. Show management requires that exhibitors limit social functions and off-floor seminars to times not in conflict with any AGRI-TRADE functions as listed in the show guide. In addition, exhibitors agree to not remove attendees from the show floor during regular show hours. We will be shutting down Agri-Trade 2018 at 5:00 pm on Friday, November 9th. 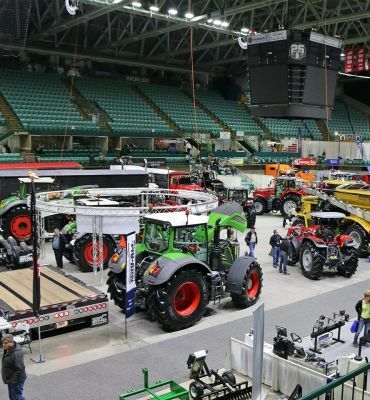 Any exhibitor that is witnessed dismantling any part of their display earlier than 5:00 pm without the prior written consent of Show Management will be excluded from exhibiting in the 2019 Agri-Trade show including Outside Exhibitors. We still have people entering the show at noon on Friday, November 9th who pay full admission and we will not have them denied the opportunity to see the whole show. All equipment must be cleared out of the buildings by noon on Saturday, November 10th with no exceptions. If your equipment is left in the building, it will be removed from the building by Goodkey Show Services and placed on the grounds. They are not liable for any damage that occurs during this time. Please ensure your staff is ready to move you out after the show on Friday, November 9th starting at 5 pm. Agri-Trade is pleased to announce the Official Decorator is Goodkey Show Services. Reminder: Standard Power is included in your booth rental…contact Goodkey if you have any concerns about your power requirements. Move out will begin promptly at 5pm on Friday, November 9th. Early tear down of exhibits or displays is strictly prohibited unless previous arrangements and approval is received from Show Management. Please see Rules & Regulations section for penalties. All equipment must be off Westerner Park grounds by 11:59 pm on Tuesday, November 13th. Unless previous arrangements are made with show management daily fines of $500 per day will be levied against any exhibitor whose equipment is still on site after that time. No exceptions will be made and equipment still on the grounds after this time will be shipped to the exhibitor COD with the shipping company of the Show Management’s choosing. If you are planning to use an Exhibitor Appointed Contractor for any work in your booth or to provide install/dismantle services, you will need to fill out the EAC Form and submit it to Show Management before Friday, October 13th, 2017. If we have no form on file, your contractor may be refused entry due to Health/Safety and Insurance risks. Please click on the Exhibitor Appointed Contractor link on the Website. Please be advised if you are shipping or dropping off equipment at the show site, you must let Goodkey Show Services know in Advance! Any equipment that arrives onsite without previous knowledge by Show Management or Goodkey Show Services will be assessed a penalty of $100/day storage charges. If you plan to ship directly to the show site, there will be a receiving desk set up at Westerner Park at the back of the display buildings starting on Wednesday, October 24th. Please note that Westerner Park will not receive any shipments at their offices at any time leading up to the show. These shipments will be refused and returned so please ensure you use the right address. Please be advised there is very little onsite storage at Westerner Park. You will be responsible for storing any needed material within your booth space. Exhibit crates will be stored outside on the parking lot directly behind the Stockmen’s Pavilion. Any additional storage requirements should be communicated to Goodkey Show Services who do have limited ability to store goods not needed during the show in trailers. 1 to 6 units $1000.00 each + G.S.T. 7 or more units $850.00 each + G.S.T. 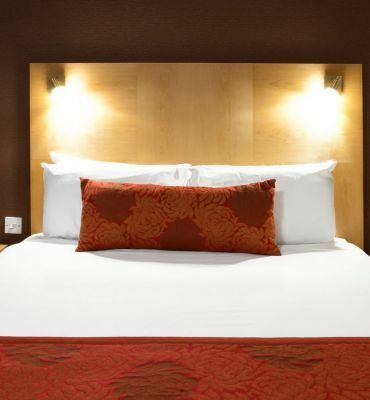 *Units include standard power, wifi access and exhibitor parking passes. Per unit: $700.00 each + G.S.T. Exhibitors from the previous show year are renewed first. If there are any openings on the show floor, they are offered to outside exhibitors first, and then the waiting list. If you would like to be added onto the waiting list, please use the Contact Us - Exhibitor form. Agri-Trade management reserves the right to place all exhibitors in the 2019 show. Corporate names and booth locations will be published in our show guide. Corporate names, website addresses and business categories will be included on our website: www.agri-trade.com. Please inform our office of any changes. The list of Agri-Trade exhibitors is released only under the following conditions: to other exhibitors (corporate names and booth locations, in hard copy only); to comply with any statutory requirements; for Agri-Trade endorsed surveys; and to the publisher of our show guide (corporate names, contact information, categorical listings and booth locations, in electronic format). For your convience, wheelchairs are avilable at the Agri-Trade Show Office, located in the Stockmen’s Pavilion.